Mammoths ruled the arctic during the last Ice Age. 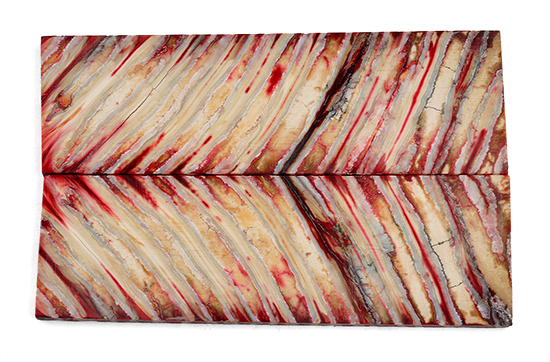 These bookmatched scales are cuts of their fossilized teeth, and are several tens of thousand years old. They have been dyed and stabilized. Exceptionally unique. One of a kind 5-1/4" x 1-5/8" x 1/4"